The global economic outlook may look hazy for 2017, but there are still lots of opportunity for Canadian exporters to clean up in China, according to those who watch the Chinese market. “We have something like 1.3 per cent of the market share for cleantech in China. About five years ago we had 1.8 per cent,” explains Mr. Rand, who is also senior adviser of the Cleantech Venture Group at Toronto’s MaRS Discovery District. True, overall growth in China is expected to be anemic in the coming year – but that is by Chinese standards. The Chinese government is still committed to an annual growth rate of 6.5 per cent between now and 2020. “China growing more slowly than it has in earlier years is still a huge economy growing rapidly. Even if we can get a small increase in our market share there it’s still significant,” says Danielle Goldfarb, director of the Conference Board of Canada’s Global Commerce Centre. Mr. Rand says a 1.8-per-cent share of China’s cleantech market makes sense for the Canadian sector. “We can achieve that [market share] just for showing up. We should be aiming much higher,” he says. Last February, Canada and China signed a joint declaration on clean technology co-operation. They committed to look at setting up more demonstration projects and making it easier for small and medium-sized companies to collaborate in both countries. This is helpful for the Canadian cleantech sector because it is made up of about 800 companies, mostly small or medium-sized firms. Mr. Rand says the key for Canada’s sector, which employs about 55,000 people, is to focus on products and services that are strong points for Canadian companies, rather than those that the Chinese can produce at home. The biggest opportunities are in energy storage – building the next generation of batteries – and in non-traditional fuels such as biofuels, he says. “China is moving beyond the traditional solar and wind cleantech, which they make anyway, toward much broader needs. We can innovate; they can mass-produce. Typically China seeks its innovation from abroad rather than at home, and in Canada our cleantech companies can innovate,” Mr. Rand adds. 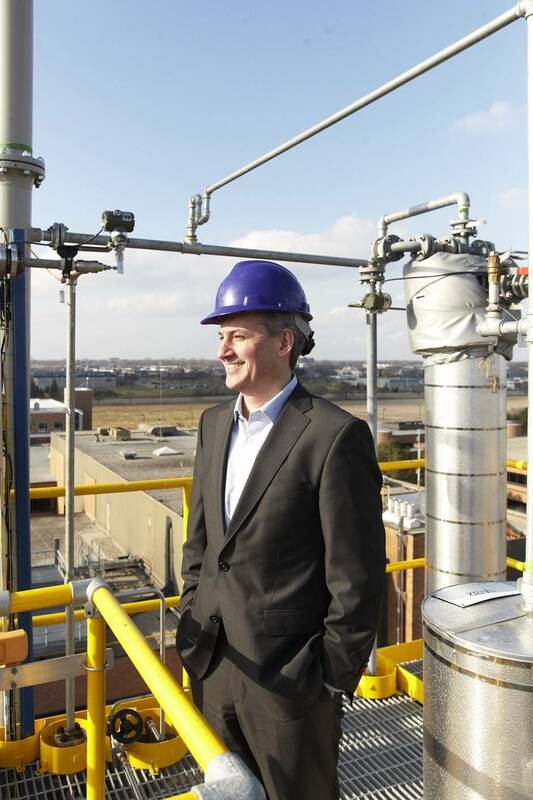 One MaRS-supported Canadian firm, Toronto-based Woodland Biofuels Inc., has built a demonstration plant in Sarnia, Ont., and is talking to potential partners in China about expansion there. The company is smart to develop its technology at home and then aim to bring it to China, Mr. Rand says, to protect their intellectual property. Chinese state-sponsored hackers were accused of breaking into the computers at the National Research Council in 2014, though the Chinese government has strongly denied the claim. The market potential is huge, in any case. In October, a delegation of Chinese billionaires visited Canada, and met with Prime Minister Justin Trudeau. “We are more interested in investing in environment technology [and] cleantech,” said Wang Chaoyong, chairman and chief executive officer of ChinaEquity, an independent venture capital firm, in an interview with the CBC. The 800 or so Canadian companies in the cleantech sector export about $14-billion around the world annually, and they actually spend more money on research and development than Canada’s entire oil and gas sector, Mr. Rand says. Analysts agree with Mr. Rand’s assessment that the market for exporters of basic solar and wind energy products in China is saturated and slowing. While China remains the world’s biggest clean-energy investor, in November, Bloomberg reported that the country lowered its targets for solar and wind power for 2020. The Chinese National Energy Administration reduced its target for wind power by 27 per cent and solar by 16 per cent from earlier goals, Bloomberg reported. China has set a goal of generating 15 per cent of its power from renewable and nuclear energy by 2020. Greenpeace says that China is still approving construction of greenhouse-gas emitting coal-fired power plants at the rate of four a week, but Mr. Rand says that, as long as the cleantech sector keeps growing at the same time, there will be opportunities for Canadian companies. China remains the world’s largest investor in clean technology. Its carbon emissions are expected to peak in 2030 and then decline, “but I think it will come much sooner,” Mr. Rand says. “Whatever else happens, we’ll all have to decarbonize,” he adds.